The Liberian Registry – the second largest in the world – includes over 3750 ships of more than 123 million gross tons, which represents 11 percent of the world’s ocean going fleet. As the world’s premier open ship registry, the Liberian Maritime Program is renowned for quality, efficiency, safety and service. Likewise, the Liberian Registry is recognized at the top of every industry “white-list” including the International Maritime Organization and the major Port State Control authorities such as the US Coast Guard as well as the Paris and Tokyo MOU regimes. Furthermore, according to the U.S. Maritime Administration, Liberian flagged vessels carry more than one-third of the oil imported into the United States. 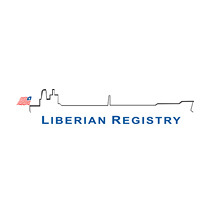 The Liberian Registry, is administered by the Liberian International Ship & Corporate Registry (LISCR, LLC), a U.S. owned and operated company that provides the day-to-day management for the Republic of Liberia’s (ROL) ship and corporate registry. LISCR is recognized globally for its professionalism and commitment to safe and secure shipping as well as its proficient administration of one of the most convenient, efficient, and tax effective offshore corporate registries in the world. The Registry’s personnel have strong commitment to operating a quality registry with first-class customer service. Significant investments in new computer and communication technologies have been made to meet the demands of today’s shipping industry. The Liberian Registry, headquartered in Vienna, Virginia (outside Washington, D.C.) maintains offices around the world, which can be contacted via this website.